Amazon Prime wants you to try out their Prime books so much that they will pay you just to borrow one. 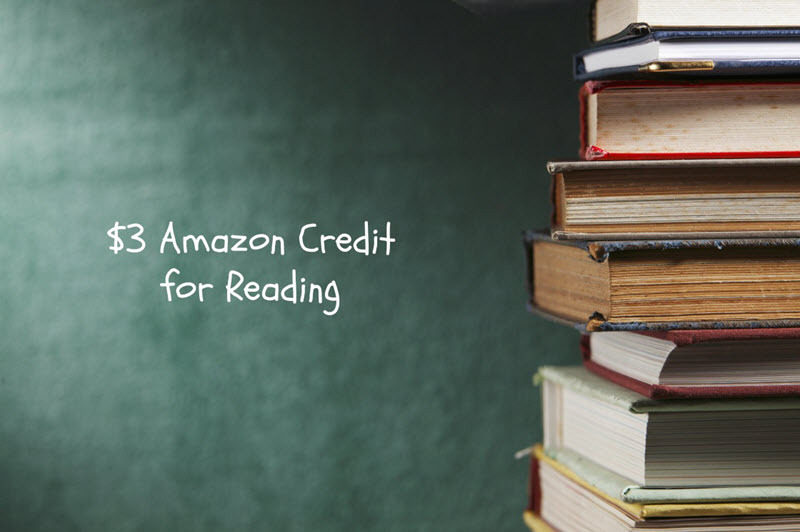 For a limited time, you can borrow either a book or magazine from Prime Reading and get a $3 Amazon credit. What's the catch? First, you have to be an Amazon Prime member. If you are not, you can easily sign up for a free trial. Or consider the $3 promotional credit a discount on being a member! Second, it has to be your first time borrowing from Prime Reading. To take advantage of this offer, visit this special landing page and click "Borrow your first book." It will take you to a page of books that are free to read with your Prime membership. Within 48 hours, you will receive an email with your $3 Amazon credit. I read a lot of books on Amazon, so I'm not eligible for this. Leave a comment if you try it and it works! Has anyone been able to try this yet? I couldn't because I have already downloaded books through Kindle Unlimited. So I am eager to hear if it works for anyone else.